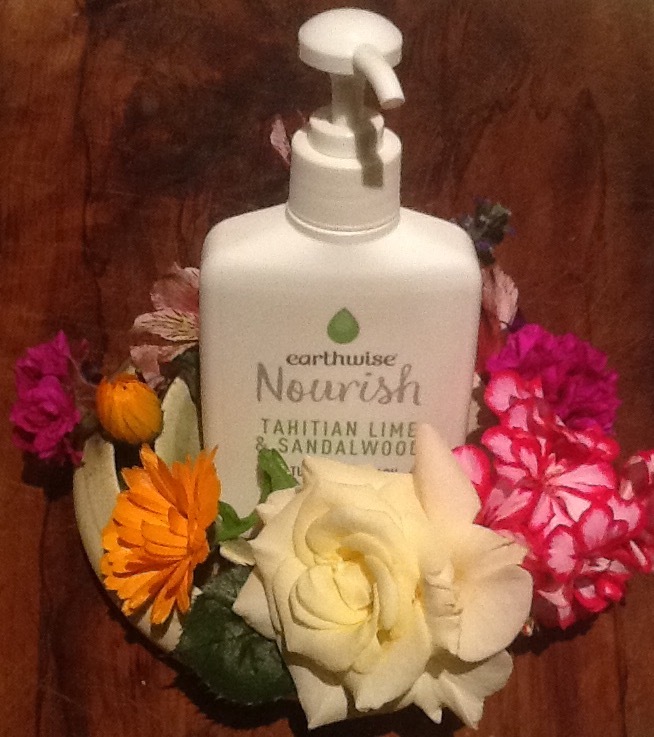 Nourish Tahitian Lime & Sandalwood natural hand wash is lovingly crafted in New Zealand. 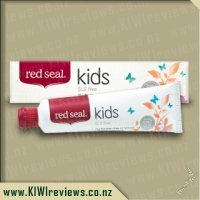 It&apos;s enriched with Coconut Oil, Manuka Honey and Harakeke. Blended with natural botanicals to hygienically clean & moisturise your hands, refreshing and rejuvenating them with every wash. Sodium Lauryl/Laureth Sulphate (SLS/SLES), Parabens, Palm Oil, Cocamide DEA, Phenoxyethanol, Triclosan, Synthetic Dyes. Water, plant based surfactants, Sea Salt, Sugar Beet Extract, Guar Gum Derivative, Vitamin E, Parfum, natural preservatives, Citric Acid, Harekeke Leaf Extract, Coconut Oil, Manuka Honey. I&apos;m always looking for soaps that will work wonders on my hands, being a childcare teacher and changing nappies all day long meaning I&apos;m washing my hands all day long and getting dry at the end of the day. My poor hands were cracking and looking rough and gross from using the blench solution all day. Also being a mum and doing a-lot of cleaning with products at home didn&apos;t help. 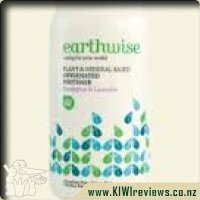 When I saw Earthwise Nourish written on the bottle I had to give it a go, it was great to be able to review it. The word Nourish stood out to me, it screams I&apos;m help your rough hands get back to normal. The bottle is nice and clean, has a little colour of green on it for the lime. When opening up the bottle it smelt really good, almost eatable, the sandalwood stood out to me. When reading what is in the product, manuka honey stood out to me, this is a great product not only to eat but healing properties so having this in a soap that states that it will moisturise your hands making them refresh and rejuvenating every wash, this had to be a good soap. While using this soap at work, it was great it made me feel better and my hands started to heal there were no longer rough after about a week, just shows how much damage there was. My hands always smelt good afterwards and started becoming soft again. I ended up buying some for my kitchen aswell as that is where most of my washing up was done and of course preparing dinner gotta wash hands beforehand. 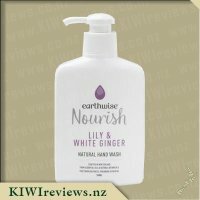 Earthwise Nourish - Tahitian Lime & Sandalwood Hand Wash makes it way into our household when we can actually afford it, sadly at $5 a bottle its not always in our budget, but when it is we will buy it as it does last the same amount of time as some of the cheaper soaps. I&apos;ll admit when it comes to bathroom and cleaning products i&apos;m a bit of a brand snob! You&apos;ll consistently see Eco-Store in my bathroom. So when I received Earthwise soap to review I wasn&apos;t holding out much hope for it surpassing my favourite products. This one may have changed my mind though which isn&apos;t an easy thing to do. For some reason i&apos;d moved away from traditional liquid hand soaps and moved on to foaming hand soap. Really I shouldn&apos;t have. 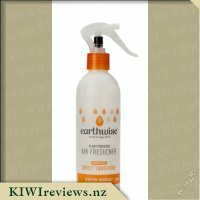 Earthwise Nourish Tahitian Lime & Sandalwood natural hand wash lasted a lot longer than my last choice, it still contained lots of &apos;good stuff&apos; ingredient wise and the fragrance combo was really pleasant. The Coconut Oil and Manuka Honey left my hands really soft and embarrassingly made me excited to wash my hands after using the bathroom. So now when I&apos;m doing my online shopping or I&apos;m wandering down the aisles I won&apos;t just go straight to my beloved Eco-Store. Earthwise is definitely a contender. The bottle looks pretty, it smells amazing, it&apos;s a good price so all in all I can&apos;t really fault it. I truly didn&apos;t think my brand loyalty could be changed on this one but I guess we can all be proven wrong. The first thing that I notice with this soap is its packaging, and for the right reasons, which is always a good thing for a product. The green is a nice shade and links in well with the lime but also the idea of nature that comes with both the lime and sandlewood. I&apos;m really happy to see that this is palm oil free and the packaging makes this very clear, telling you twice about this fact, and cruelty free gives it another big tick. I like that when it comes to using the pump to get some soap, it isn&apos;t too easy, which means for my youngest (who can&apos;t quite put full pressure on it) that she doesn&apos;t overuse this soap. 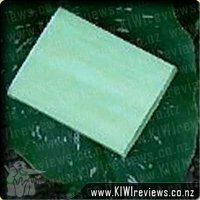 This soap had a very silky feel to it, which at the start gave me instant concern as this usually results in a soap that takes a bit of extra work to clean off my hands, and the more time that soap is on my skin the worse it affects them and dries them out. Happily this wasn&apos;t the case and just as easily the soap coated my hands did it clean off my hands, and instead of feeling dry my hands feel like they actually have a bit of moisture to them! When it comes to the smell, I&apos;m not hooked, I found that all I can smell is the sandlewood without any hint at all, of any sort of lime, which I was looking forward to. I&apos;m not a fan of its smell but when it comes to feeling good on my hands, I&apos;ll get this again. When I saw that the Nourish Tahitian Lime and Sandalwood hand wash was available to review I jumped at the chance to request it. I lose count of how many times a day I wash my hands Country life, 3 children in nappies, after cleaning, and cooking are some of the reasons why I need to. My hands are constantly getting dried out and cracked and I was yet to find a decent hand wash that could effectively help protect them while doing a thorough job of cleaning them. Upon receiving the hand wash in my review box I noticed how simple the bottle looks, the contrast of green writing makes it stand out effectively. It may look simple but it is remarkably effective at catching my eye. The bottle is the right size to hold in my hand and with the pump it is simple to use. I like to use products that do not have a big effect on the environment and are gentle enough to use for the whole family. This hand wash being free from harsh chemicals gets a major tick from me. We currently use the Earthwise laundry liquid for this reason. The fact that it is New Zealand made is just an added bonus. When it came time to use this product for the first time I was pleasantly surprised at the smell that greeted me. Not too overpowering in lime or sandalwood, it was just right. I squirted a pump into my hand and was surprised at how it was a nice consistency. It wasn&apos;t too thick like previous hand washes I have used. One squirt was the perfect amount to use once water was added and lathered up into a nice bubbly covering of my hands. When it was time to rinse the soap off it took no effort, there was no slimy feeling afterwards and there was a subtle scent left on my hands. The only thing I would mention is that you need to unscrew the top to see how much is left before needing more. My children are occasionally a bit over zealous with how much they use hehe. Overall I like the ease of use this product offers, and that it is better for the environment. I am happy with the price as I think it is reasonable and will be adding it to my shopping list and trying the other scents as well. Next time I am shopping I will see if there is a refill option to save using too many bottles. Usually when shopping for hand soap I admit that I simply look for the most attractive product on the shelf going for the cheapest price. I know that I like fruity smells and don&apos;t like lavender so pick one that indicates it would be more of a fruity smell. Seeing the Earthwise Nourish Tahitian Lime and Sandalwood hand wash up for review I sent my review request through. I was excited to see this among my big box of goodies and tried it the next time I washed my hands. I pushed the pump twice and got a decent amount of liquid soap on my hands. The smell was quite pleasant. Some soaps can be very strong and cause my eyes to water, and I liked that this soap didn&apos;t do that. I wet my hands and started to rub them together. Very quickly I discovered that this soap lathers up very, very well. So well in fact that I decided two pumps was probably a little bit much! Deciding to test it out I rinsed off what I had, dried my hands and started again. This time I put one pump on my hands, added water and started rubbing my hands together. This soap lathers up perfectly on one pump. It was plenty enough to spread around both of my hands, between my fingers and up the lower part of my arm. This is fantastic - it makes the soap even more value for money as I know I don&apos;t have to use so much. Next time I need to buy liquid soap for my home I will be searching my supermarket for the Earthwise liquid soaps. 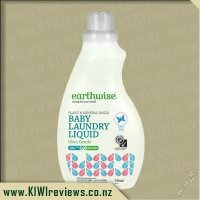 KIWIreviews and Earthwise have certainly changed my thoughts of liquid soap and made me realise I should be a little more picky about what I am buying. Washing hands is a basic hygiene practice and I encourage my children to do it whenever I can but being kids they are sometimes a little more enthusiastic than they should be and use way more soap than they need to. It&apos;s for this reason that we go through a whole heap of soap and I can&apos;t see it decreasing anytime soon. This Earthwise Tahitian Lime and Sandalwood hand wash is a great smelling product which is good for the environment too - win, win. The scent isn&apos;t anything overwhelming and it&apos;s definitely not a "girly" scent so I can see it appealing to a houseful of males and it certainly appealed to my husband who I think was secretly thrilled that I had received this scent instead of something sweet or floral. We live on a lifestyle block with kids, dogs, chickens, mud and dirt I have plenty of opportunities to wash my hands so I gave it a solid testing over the last two weeks and I can happily say that my skin didn&apos;t react once and my hands are feeling nice and smooth now. Being an Earthwise product I feel safe in knowing that this product will be good to use for both myself and my kids and wont affect our septic tank either. I quite like the simplicity of the bottle shape and design and feel it could be used in any room in the house (that has a sink to rinse it off). The only thing I think they could possibly improve on the design of this bottle is to make it have a clear strip down the side so you can actually see how much is left in the bottle and you can preemptively stock up before you actually run out. It&apos;s such a pain going in to wash your hands only to find out there is nothing left. 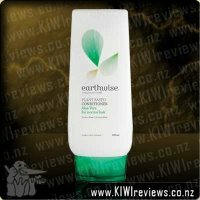 When I saw this particular Earthwise soap up for review I was really keen to give it a go. 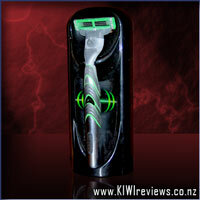 The scent Tahitian Lime & Sandalwood really intrigued me and made me want to try it. I&apos;ve been alternating the bottle of soap between the bathroom and kitchen for the past week and a half since it arrived and I can truly say it does clean your hands and leave them feeling nice and fresh, which is what you want in a soap. I&apos;m a busy mum of three young children so I wash my hands a lot everyday so it&apos;s important for me to have a decent soap that doesn&apos;t leave my hands feeling dry. The Earthwise soap definitely leaves them feeling nourished and moisturised. While working the soap into your hands you can feel it moisturising your skin and it does really leave your hands feeling nice and soft. I love the basic packaging as always with Earthwise. The white is lovely and fresh, and the green and grey gives it a nice soft feel. On the back of the bottle it tells you a bit about Earthwise history, the product list and the Earthwise promise. I absolutely love the Earthwise philosophy which is printed on the back of the bottle - If nature makes it, then we don&apos;t need to. The smell of the soap is really inviting. It&apos;s a really fresh, lime smell and leaves your hands smelling nice and clean. I like the citrus scent versus say a floral scent, as it suits both my partner and I meaning we don&apos;t need two bottles of soap. My young children also wash their hands a fair bit, so it&apos;s important to me that the soap is free of nasties - which earthwise is, so it ticks all the boxes. Like I said we have been using this soap for a week and a half now, and there is still about half the bottle of soap left. 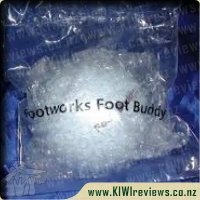 Pretty good value for money when you know you are getting a product you can trust, that is made in New Zealand and free from all the nasty chemicals. Thank you Earthwise for producing a winning soap, it will definitely be the only soap we buy in the future. I always seem to be washing my hands. Probably this is because I multitask, spending time in the garden then going back inside to enter something on the computer, then out again to do some digging, then back inside again to feed the dog and cats. The result is that my hands are often dirty and need to be sorted before I can proceed to the next task. Constant washing is not good for your skin, and I have to take extra care not to let my hands get too dry as that can lead to cracks, which is not a good idea for times when I am working with compost or cleaning up after pets. Of course I could wear gloves! Yes, that is all very well, but I am not so highly organised. It does not fit in with a multitasking lifestyle. What does help, however, is a gentle handwash that stops hands from getting too dry in the first place while ensuring that they are clean and germ free (well, within reason). So I was eager to try the new earthwise Tahitian Lime and Sandalwood. 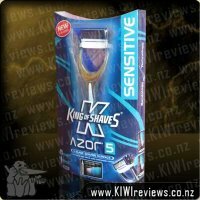 It contains harakeke, sandalwood, lime and manuka honey, all of which are natural disinfectants, and has the added bonus of an aromatic scent which lingers on the hands long after they have been rinsed and dried. It has a pleasant aroma which reminds me of the furniture cream we used to use on fine wood products; not floral or sickly sweet, but fresh and very woodsy. Hands that are soft and smell nice are all very well, but the whole point of a handwash is to get them clean as well. I have used products in the past that are very pleasant but don&apos;t actually clean your hands properly! 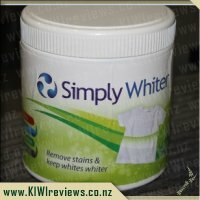 I tested this product over a course of one day and counted up, among other things, potting mix (garden), grease (cleaning the stove), laundry powder (wiping up a spill by the washing machine), milk (spilled by a child in a hurry! ), ink (leaked from a ballpoint that had "exploded"), and metal flakes (from a hole I was drilling in a shed door). It worked on everything except the ink; that is still on two of my fingers where it landed. But otherwise, I consider that to be a fair test of a product and my hands were left clean each time. 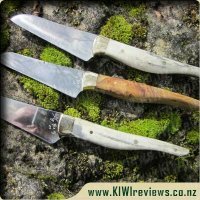 I have started buying earthwise products regularly since I first began testing them - this is the third item I have evaluated, and I am really impressed with the quality of the goods. I like the plain packaging of the handwash: it is clear what you are buying, and the green and grey on a white background serve as a subtle reminder that this is an eco-friendly product. 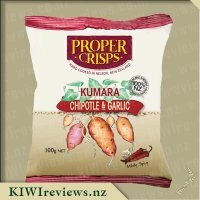 The information on the back of the packet is not quite as accessible: there was a lot of fine print which was difficult to read, but luckily the same information was readily available via the internet! When I saw the Earthwise handwash up for review, I found myself drawn towards this particular scent as I am not a fan of florals and prefer something with a bit more of a unisex feel to it, and this one seemed to fit the bill. I decided to put the bottle by the kitchen sink, and so it got a really good workout with some greasy hands after handling butter, but the soap is so moisturising that it was hard to tell if it had cut through every last bit of butter when I washed with it! I know that sounds a bit strange, but I really did find it left my hands with a lovely moisturised feeling each and every time I cleaned them. I also found myself de-boning fish the other day so that proved to be a great chance to test the soap in getting rid of the fishy smell... and it passed with flying colours! As far as the scent goes, it has a really fresh feel to it and it really is as described - I can almost pick the citrus tones and wood tones out if I really think about it. I feel it&apos;s a great soap for both males and females which is important if you don&apos;t want to have 2 bottles of soap sitting at the sink! I can get headaches from sickly floral smells, and I&apos;m glad to have had a chance to try this out and find that I love it! Although I&apos;ve been using this in the kitchen, I do feel it&apos;s got more of a bathroom feel to it for some reason... but it&apos;s got to be great anywhere that you wash your hands a lot as I can feel how good it is on my skin. I do have to be careful of products I use as my skin can be sensitive to some products, but I&apos;ve had no issues with this soap, but I know I&apos;m always safe with Earthwise so this is no surprise. I think it&apos;s really important to think about what we are putting down the sink - especially frequently used items such as handsoap. Whilst I&apos;ve never been one to worry about this much, or go out of my way to buy environmentally friendly products, when great products are readily available at the supermarket at reasonable prices, then why wouldn&apos;t I go for it. So on this basis, I&apos;ll definitely be buying this product again. 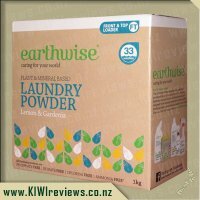 Earthwise Super Concentrate Laundry Powder is a plant and mineral based formula. Suitable for top loaders, front loaders and hand washing, this low suds formula is a 2X concentrate so only a small amount is required to leave your clothes fresh and clean. It&apos;s grey water and septic tank safe, and contains biodegradable surfactants - a gentler choice for you and the environment.